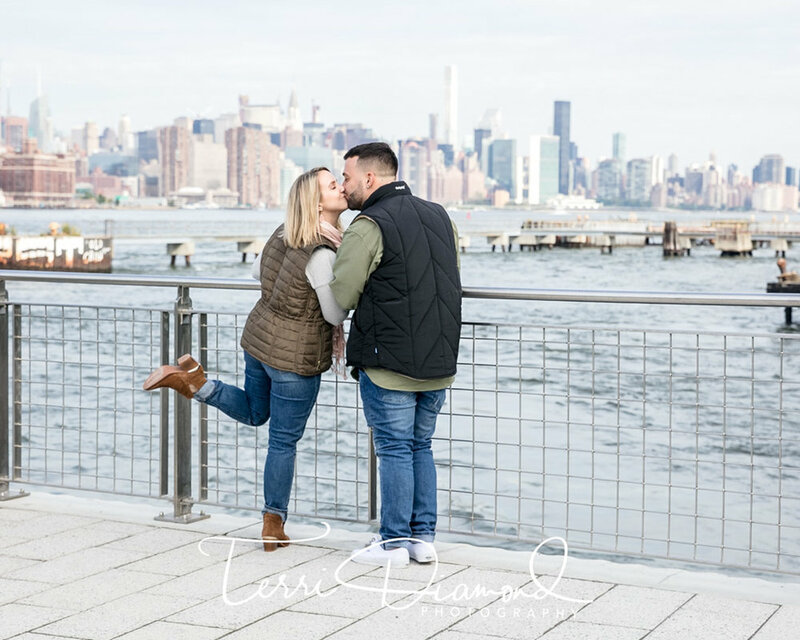 They spent the morning in Williamsburg, Brooklyn at Domino Park. It was a brisk morning in October, and spirits were high all around! Michelle’s aunt gifted them with a certificate for our services. When deciding on the ‘perfect gift’ this season, why not give the gift of photos? Gifting a session to your nearest and dearest is a wonderfully original gift, and one they will be thanking you for every time they view their images. Pro Tip: You can add photo studios to your registry! 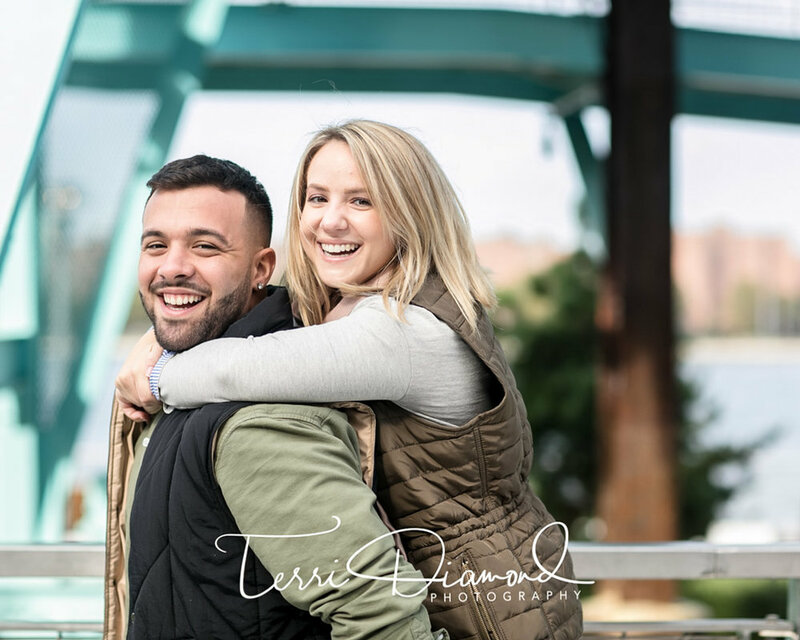 What better way to try out a photographer and prevent buyers remorse than to have the photographer you love gifted to you, long before your wedding? 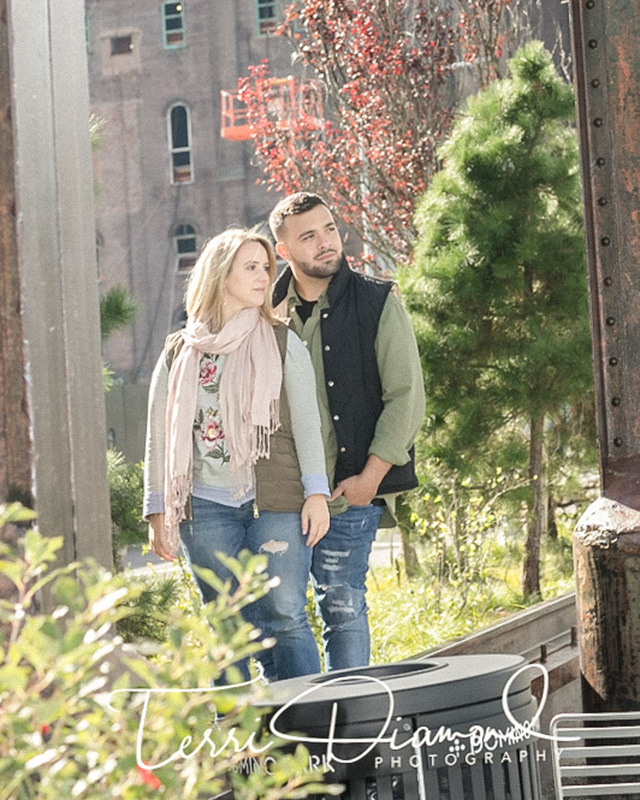 You will save time and energy interviewing photographers for your wedding day, and you’ll have images of you and your fiancé that will transcend time. 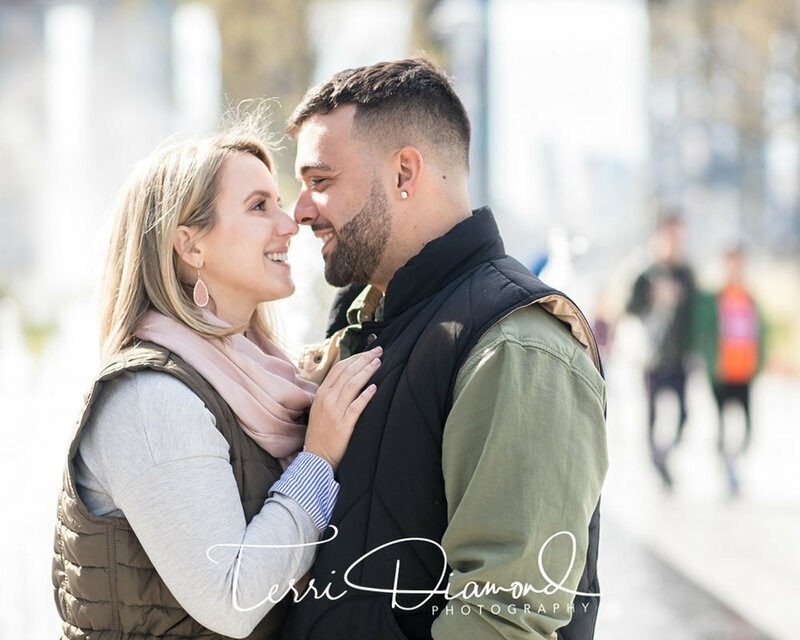 When working with you, an engagement session with Terri before your big day gives Terri a chance to get to know you, your story, your best angles, and your energy. Talk about a fun way to connect! 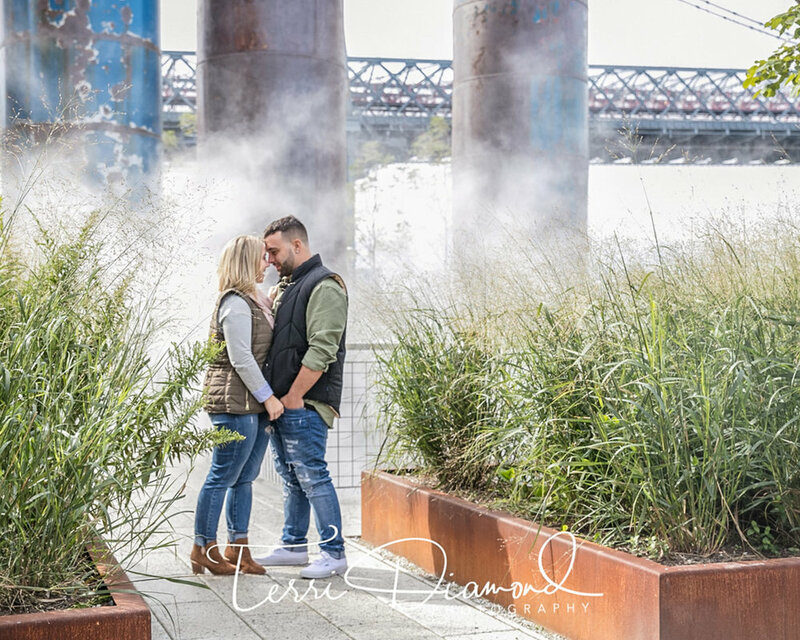 The actual wedding day will go so smoothly after learning how to interact and pose for your photographer; you now have the confidence from already nailing it during your engagement session! 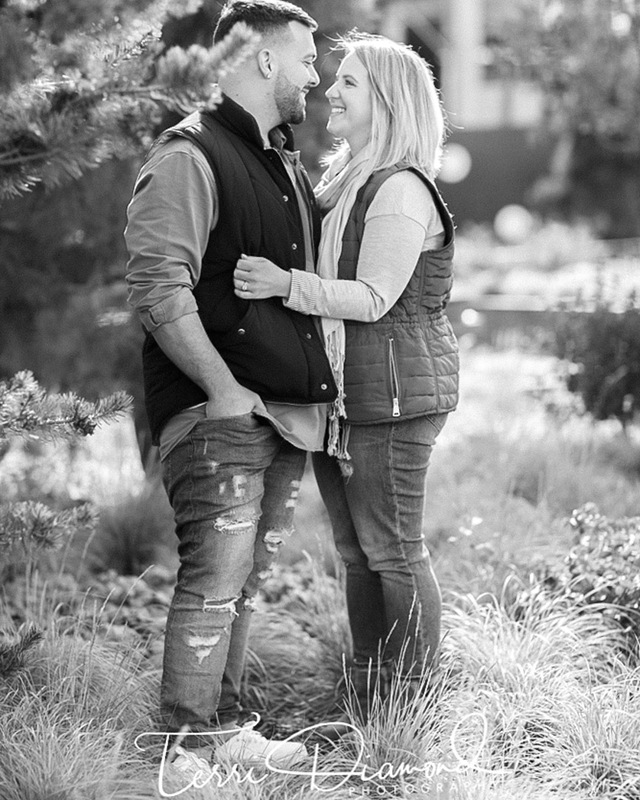 You’re going to want your wedding to be fun, and you want a fun photographer to capture all of your special moments. A good photographer knows how to capture your good side and goes into your session with your same vision and energy. We like to capture your individual sense of style. For cooler days, make sure you’re warm enough, not wearing ill fitting clothing that needs to be fiddled with (re-tucking in shirts, etc.). That will take your attention away from your love and the spontaneous candid moments. We always tell our couples to dress for comfort with flair, but not too matchy; choose colors that compliment one another and blend well. And in case we end up roaming around a large area, we suggest comfortable shoes, like flip-flops or slip on sneakers to replace dress shoes and heels while walking from location to location. 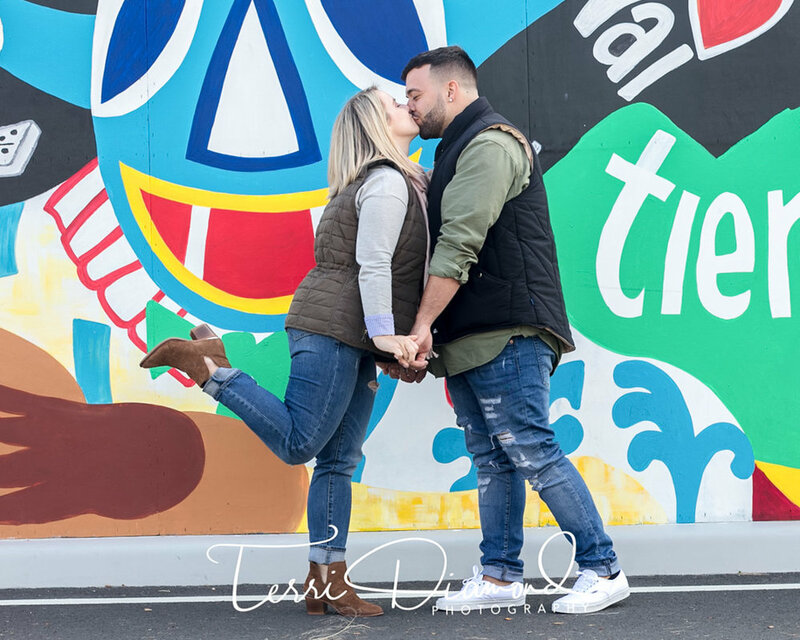 An engagement session with Terri is a date between you and your fiancé, only it’s documented! 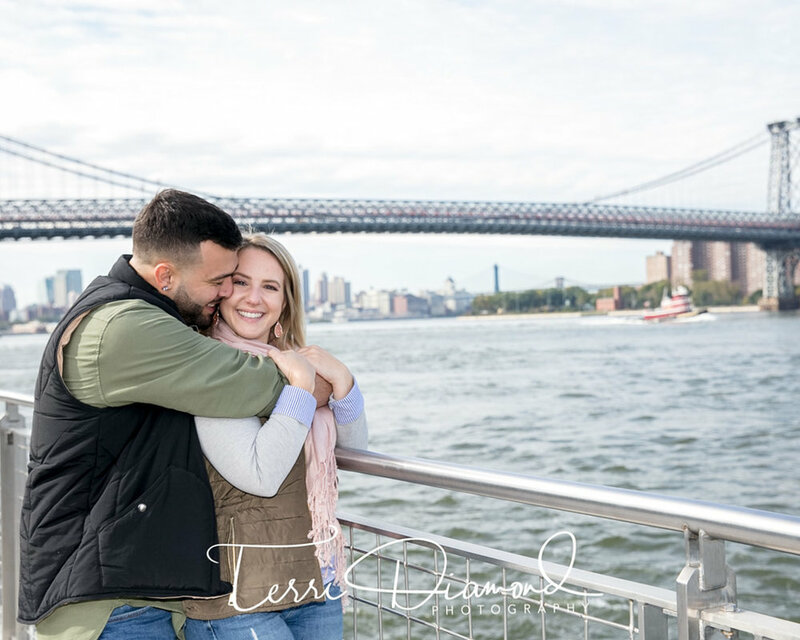 It’s a time to detach from work, social media, and your cell phone and completely immerse yourself in the love that Terri brings out in her couples. Pro Tip: We suggest refraining from using mineral makeup as it reflects and refracts light when we use flash! 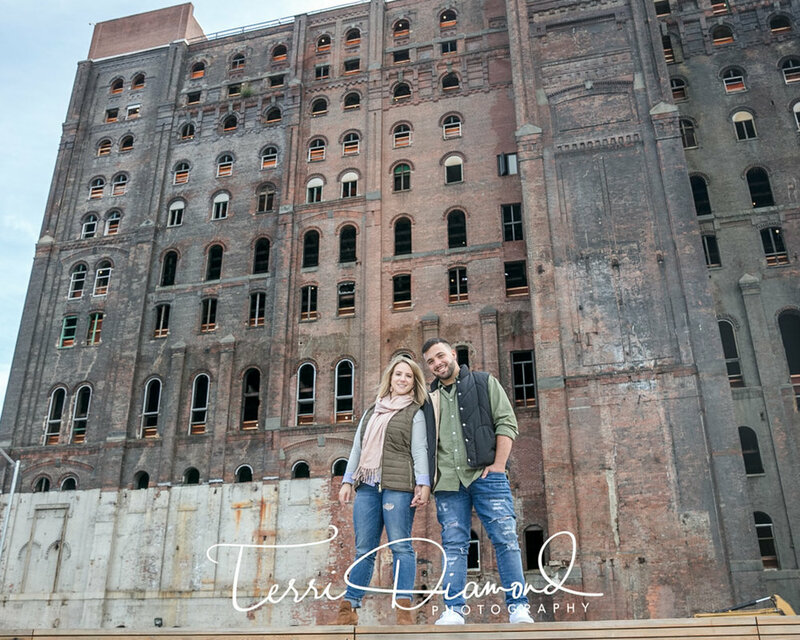 When the day was done, Michelle & Nick were excited and overwhelmed with the confident in Terri and her team’s abilities to capture their wedding!